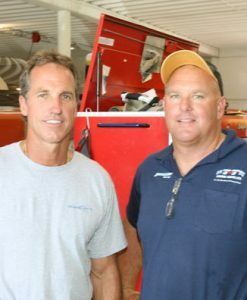 Mike Thomas and John Tomlinson, along with the best technically trained, dedicated and experienced team, proudly serve customers in the global marine industry. Our team has a proven record for providing the best customer satisfaction when it comes to new sales, maintenance and in & out services around the marina. TNT is thriving with activity and continues to be the one-shop-stop for performance boating needs. TNT is committed to keeping long standing clients and new customers current with new brokerage listings, industry news and events around TNT Marine Center. Sign up today and receive periodic updates with news and information to better serve you.